A Facebook event post shows Karen Evanoff at fish camp, practicing her subsistence tradition. the hunting, and women most of the gathering, but men and women also do many tasks together. In some Alaska Native communities, women’s and men’s roles in subsistence are sharply divided, while in others the division of labor is more flexible. Research on subsistence has tended to emphasize levels of harvest, thus highlighting the men’s work but not the women’s work of processing and distributing subsistence foods. Subsistence research has progressed from relying only on harvest surveys to adding studies of social networks of sharing food and labor. We suggest that since subsistence harvests involve the wider community beyond the harvesting household, subsistence research must also integrate broader networks in order to accurately capture subsistence practices. August is the perfect time to talk about the Fish! 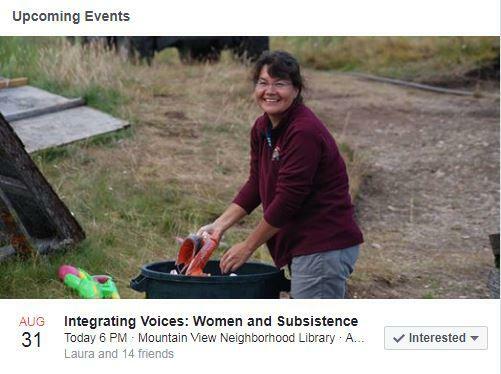 Please consider joining us at the Mountain View Library's Community Room to share subsistence stories from two women who engage in and research such significant seasonal activities. Speakers: Karen Evanoff is Dena’ina Athabascan from Nondalton, which is located between Lake Clark and Lake Iliamna. Karen has a degree in Anthropology and currently works for Lake Clark National Park as the Cultural Anthropologist. Karen believes that Alaska Native people taking ownership of their ancestral knowledge, where it goes and how it is used strengthens the people and paves the way for future generations and also paves the way for researchers, including western scientists, to learn from each other, in return providing a balanced knowledge system. Rachel Mason is the Senior Cultural Anthropologist for the National Park Service, Alaska Region. She has worked for many years in rural and Alaska Native communities, including conducting research and providing technical assistance to both the state and federal subsistence management programs." Morning Line's Frank Chythlook and Danny Preston talk to Karen Evanoff and Rachel Mason about the event Integrating Voices: Women and Subsistence. 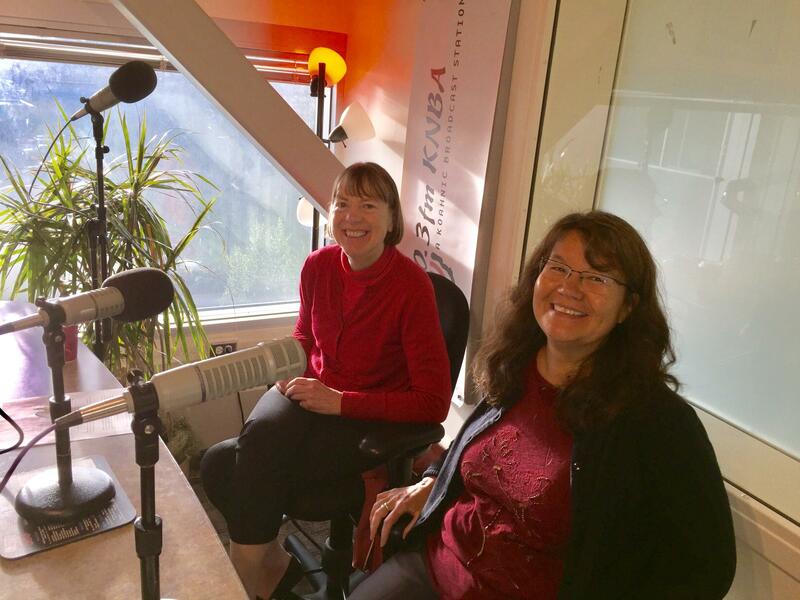 Today on Our Community, ​Kristen Collins, the Alaska Center Community Organizer and Gayla Hoseth, 2nd Chief of Curyung Tribal Council & Stand for Salmon spokesperson came by KNBA to share a new state holiday. Each year, August 10th is designated as Alaska Wild Salmon Day. Collins says this comes after a law was passed that started as House Bill 128 on the 29th Legislature of Alaska in 2016.